Do you need a helper for moving? Tired of poor moving services that over charge and break your valuables? If you’re ready for a better option and you live in Sacramento California, then you’ve found your answer. When it comes to moving from your old home to your new home, it can be quite the hassle to do it on your own. You need the right moving labor help to help make the transition smoother and easier, and Handy Dandy Moving Service is the that help. There are many things that we do differently in comparison to other moving companies. For one, there are no confusing terms and conditions in our contract. Our contract is extremely straight forward, easy to understand and extremely clear so you know exactly what to expect. Another great benefit of working with Handy Dandy Moving Service is our up front pricing. Straight, no-nonsense pricing allows you to better compare services and see how easy it is to work with us. We’ll let you know our rates right from the start so you are in total control. You get to decide how much or how little help moving you want. Our ProMovers are here to make your move easier whether that means just helping load the heavy stuff or handling both loading and unloading of your truck. You call the shots. If you don’t want to do any heavy lifting, then you don’t have to. 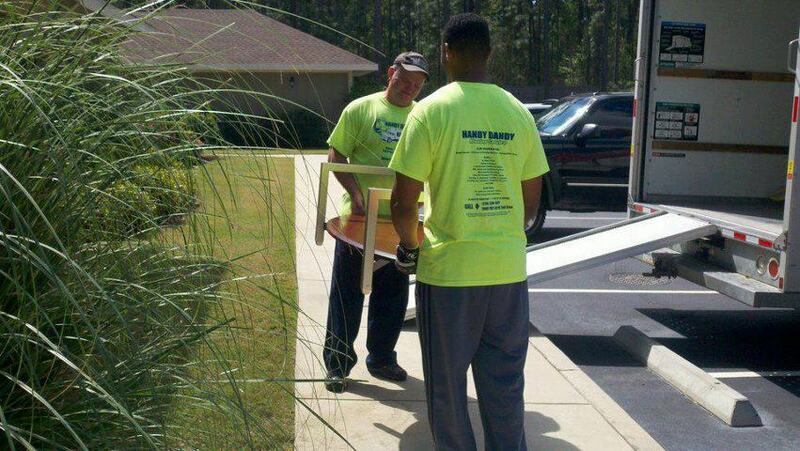 Handy Dandy Moving Service provides fantastic loading and unloading services so that you don’t have to lift a finger. We will ensure that your valuables are properly stored so that no breakage occurs. We have a 99% customer satisfaction rate, which truly speaks for itself. In closing, when it comes to finding and hiring a moving labor helper in Sacramento, Handy Dandy Moving Service is the clear choice. So, contact us today so we can get you a quote on helping you move. Do you need a helper for moving? Tired of poor moving services that over charge and break your valuables? If you’re ready for a better option and you live in Sacramento California, then you’ve found your answer.